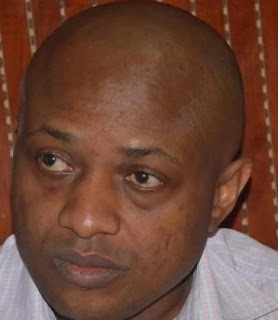 In a court ruling today Monday the 23rd of October 2017, Justice Mohammed Idris ordered the Nigerian Police Force to immediately release the brother in law of billionaire kidnapper Evans, Mr Okwuchukwu Obiechina. In the fundamental rights enforcement suit filed by Mr. Okwuchukwu Obiechina, said to be Evans’ brother-in-law, Justice Mohammed Idris, on Monday, declared Obiechina’s arrest and detention unconstitutional. Most of our judges nowadays think anti clockwisely. Even though, the police illegally detained him beyond reasonable time in connection to Evans crimininal investigations, that does not mean you have to order the Nigeria Police paying him monetary compensation . This judge ought to weigh the impact of his verdict before proclaiming it to the public. This is one of the most sensitive cases in Nigeria crime history and we have to be very careful about how we handle it otherwise we may be encouraging criminality instead of solving it. The fact that the Police go out of required rule of law does not mean the judge has to award frivolous monetary compensation. All he has to do is to let the man go as a judge. It is duty of the judge to release the man if he feels under the law he has nothing to do with the case and he had already done that. That guy may file a law suit after the case but not the judge duty awarding him free monetary compensation. This judge appeared to be working against the government instead of working for the system in conjunction with law enforcement agents. Mr Judge, you have to be careful! or do you want to systematically release Evans? your ruling sounds awkward.